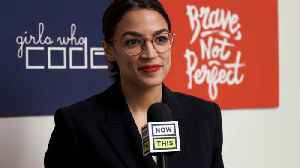 According to a source, the 'Melrose Palace' alum and her boyfriend are on an outing to view the Super Blood Wolf Moon solar eclipse. 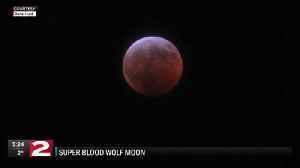 ▶ Videos for "Super Blood Wolf Moon"
2019 is a bumper year for supermoons, with three occurring in the first three months of the year. 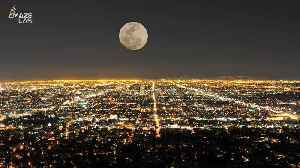 Supermoons occur when the moon is both full and as close to the earth as it can be in its orbit. 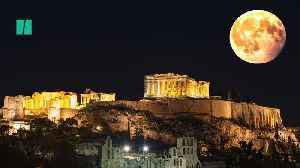 In..
February will grace us with the closest full moon of the year, making it look bigger and brighter than usual. 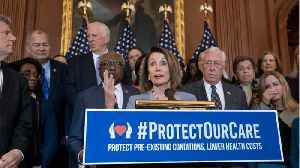 Images taken by Reuters photographers around the world in January 2019, including the U.S. government shutdown, yellow vest protests in France and the “Super Blood Wolf Moon.” Produced by David..
Those watching the moon recently may have witnessed a lot more than a cool-looking eclipse. 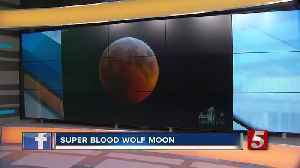 The Super Blood Wolf Moon only appears once every 18 years. Monday night, people watching the sky got a special treat. It took braving a very cold night to see the super blood wolf moon. 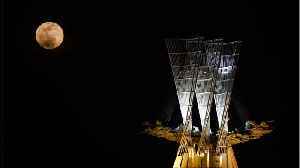 One of the most spectacular astronomical sights of the year rose just after 5am on Monday. Sky' s Adele Robinson has more. 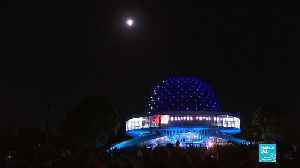 According to Huffington Post, A total lunar eclipse dominated the sky on Sunday night, to the delight of stargazers across America. 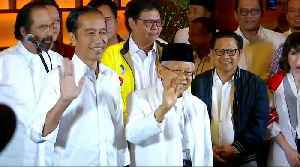 The celestial event ― nicknamed a super blood wolf moon ―.. 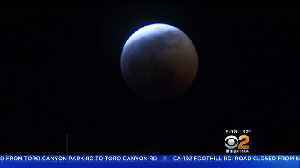 Dozens of excited stargazers packed the Griffith Observatory Sunday night to get a view of the rare “super blood wolf moon,” the last total lunar eclipse viewable in the Southland for more than two..
An unusual lunar eclipse, known as a “super blood wolf moon,” was visible across the US and elsewhere overnight from January 20 to 21. 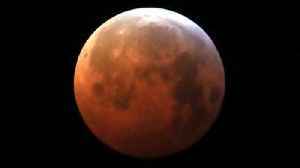 The event was mostly visible from North and South America,..
Skywatchers across Scotland caught a glimpse of the astronomical spectacle of a ''super blood wolf moon'' last night. Time-lapse footage captured from Cairngorms National Park in Braemar, shows the.. 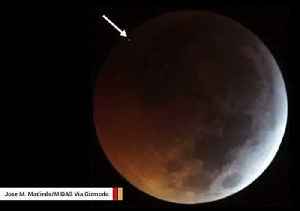 Dozens of moon observers turned out to witness the ‘Super blood wolf moon’ as it reached its greatest phase at 3:12 a.m. (0512 GMT) &amp; was seen closer to earth. 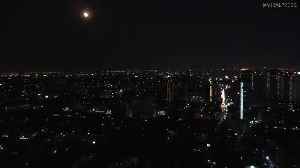 The super blood wolf moon eclipse as seen from Thai capital Bangkok at 6:30pm local time. 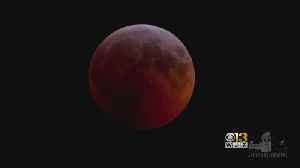 The blood red moon appeared to turn a dark shade of orange before returning to its normal colour around an hour..
Last night's Super Blood Wolf Moon was the first total lunar eclipse visible from the majority of the U.S. in almost two decades. 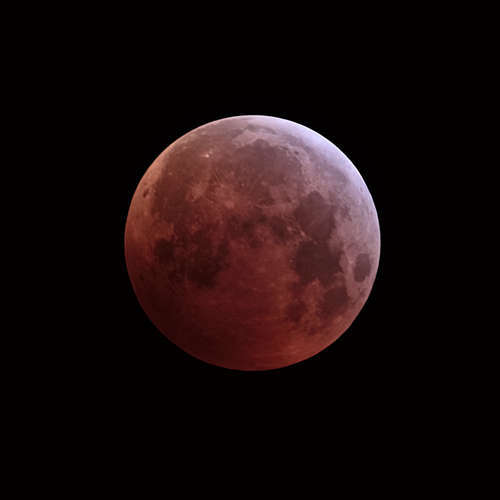 An unusual lunar eclipse, known as a “super blood wolf moon,” was visible across the US and elsewhere overnight from January 20 to 21.The event was mostly visible from North and South..
(CNN)Sky gazers were treated to a rare lunar eclipse known as a super blood wolf moon on Sunday night, in which sunlight passing through Earth's atmosphere lit the celestial body in a dramatic fashion..
Folks took to the skies Sunday night to see the incredible super blood wolf moon. 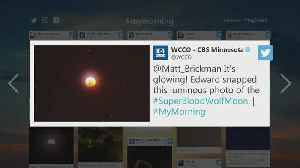 Fox 4 Chief Photographer Curt Tremper captured beautiful photos of the Super Blood Wolf Moon. 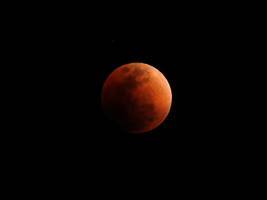 The moon took on a red color in the sky Sunday night, the first lunar eclipse in three years. 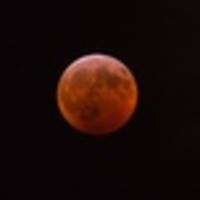 A group of moon gazers who hit Ponte Vedra Beach to watch Sunday night's Super Blood Wolf Moon lunar eclipse forgot to keep an eye on the tide - and you can pretty guess what happened. 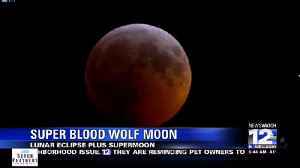 A couple lying on the ground in a park to watch last night's Super Blood Wolf Moon lunar eclipse was run over by a West Palm Beach police officer. 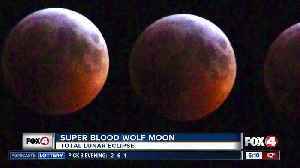 Moon worshippers and everyone who was cleansing their crystals all over the world were mesmerized by the super blood wolf moon eclipse. 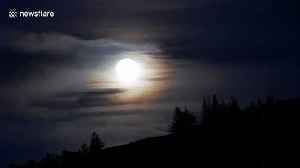 Professional photographers shared images showing the moon's..
by Marc Pinter-Krainer - Imagine you could see the sunsets occurring around the globe all at once. 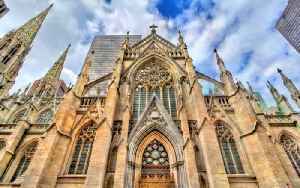 To achieve this feat you would need to leave Earth, positioning yourself at a far enough distance to.. 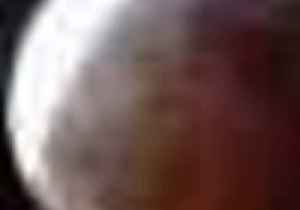 If you missed the Super Blood Wolf Moon Lunar Eclipse, this time-lapse video shows the moon passing fully into the shadow of Earth. 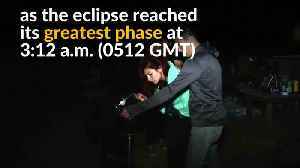 The main event began late Sunday night and finished early Monday..
A rare total lunar eclipse begins Sunday night. 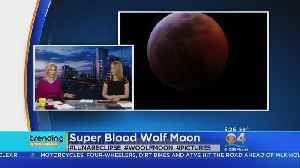 NPR's Melissa Block talks to Pamela Gay, host of the podcast "Astronomy Cast," about what's been dubbed the "super wolf blood moon." 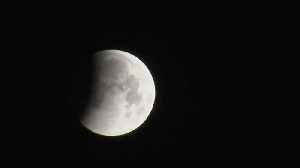 · A total lunar eclipse will occur on Sunday, January 20. 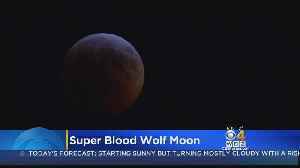 · This "super blood wolf moon" gets its name because the eclipse will occur when the moon is full (called a wolf moon in January) and..
A "Super Blood Wolf Moon" is the combination of the year's first full moon, "super moon" and a total lunar eclipse. 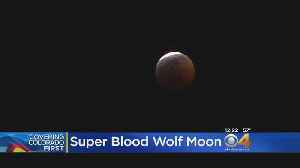 Read more... More about Space, Nasa, Mashable Video, Blood Moon, and Blood Wolf.. 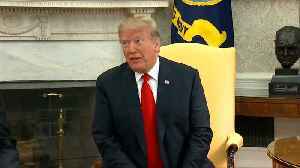 The worst storm of the new year has passed through the Bay Area, but a high surf advisory remains in effect Friday as large waves continue to crash along the coast. 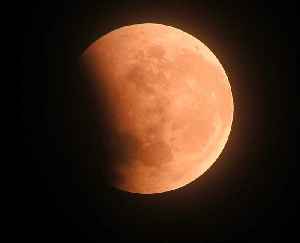 Waves between 25 to 35 feet are..
A rare lunar eclipse will unfold Sunday night -- and it will be hard to miss if you stay up. 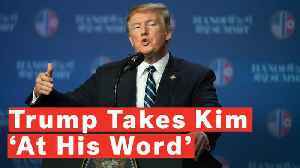 As long as the weather cooperates, the "super blood wolf moon" will be visible across the U.S., Europe and..
A relatively rare celestial treat may be visible to Washington residents, and anyone else on the dark side of the Earth with a clear sky, but it isn’t the so-called “Super Blood Wolf Moon,”..
· China recently landed the first space mission ever, called Chang'e 4, on the far side of the moon. 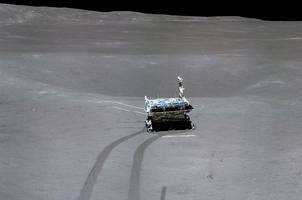 · The mission's landing spacecraft and Yutu-2 rover were sent to probe the moon's geology, seek..